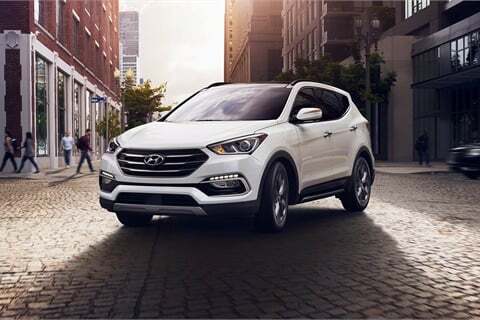 NORTH HILLS, N.Y. — Dealertrack announced the expansion of its partnership with Hyundai Motor Finance and Kia Motors Finance, making Dealertrack Contracting available in 39 states, including Texas, California, New York, Florida, and Arizona. Currently, Dealertrack’s proprietary contracting offering will enable Hyundai and Kia Motors dealerships to more accurately submit automotive contracts electronically to their captive lenders in real time, resulting in funding as fast as same day, according to the announcement. Dealertrack Contracting, which is expected to roll out across all 50 states by the end of October, eliminates the cost and hassle of the traditional and mistake-prone approach with the use of electronic validations, mobile signing, and immediate delivery of funding packages. This milestone announcement underscores the scaled growth of electronic contracting usage by captive finance companies, with Hyundai Motor Finance’s and Kia Motors Finance’s enrollment rate nearing 35% across the manufacturer’s more than 1,600 dealers nationwide, according to Cheryl Miller, vice president and general manager for Dealertrack’s F&I Dealer & Lender Solutions division. Mike Lahham, general manager of Kia Downtown Los Angeles, served as a pilot dealer and reached a high utilization rate shortly after enrollment with Dealertrack Contracting. Dealertrack Contracting replaces the traditional approach of paper contracting that relies upon both fax machines and mail. The solution also mitigates manual data entry and calculations, paper contracts with “wet” signatures, and reduces documents needed to mail to lenders. As a result, the technology can cut expenses, enhance contract accuracy and the customer experience, reduce the amount of time it takes to submit a contract, and get funding the same day in most cases, all according to the announcement.